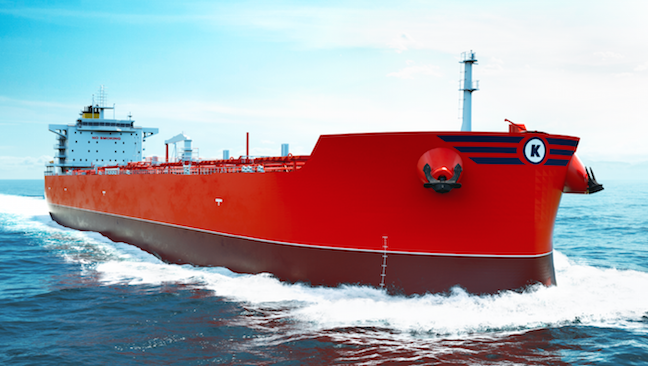 Marlink announced that its inhouse IT specialist unit, Palantir, will be the preferred supplier for vessels managed by Klaveness Ship Management AS which will rely on KeepUp@Sea remote IT service with Sealink's VSAT connectivity. Marlink and its inhouse IT specialist unit Palantir are to be the preferred supplier for vessels managed by Klaveness Ship Management AS. 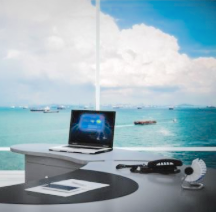 Vessels in the fleet will be equipped with an advanced solution, combining KeepUp@Sea remote IT service with Sealink VSAT connectivity, as well as XChange centralized communications management and global L-band back-up. This supports Torvald Klaveness’ goal of becoming the leading digital bulk operator while optimizing their business operations through advanced IT and connectivity solutions. KeepUp@Sea’s highly automated and standardized framework for servers and computers enables fleetwide control on board and ashore, also meeting Torvald Klaveness’ commitment to improving the nature of shipping with emphasis on the importance of standardization in all areas of operation. The KeepUp@Sea dashboard is developed and specialized to fulfil critical monitoring tasks in the most simple and intuitive way. It provides a complete overview of the health status for critical components on board, verifying that backup is performed and that antivirus protection is up to date, all in one place, through a single click, for the whole fleet. KeepUp@Sea also enables shore staff to maintain a transparent overview of the operational status of a fleet, while enabling on board staff with limited IT competence to deal with error situations in a straightforward way, while enjoying the full support of Palantir personnel with extensive experience in working at sea. Lars Erik Luthman, Head of IT and Development, Torvald Klaveness said that standardization is a key pillar of their improvement and digital strategy. With Marlink’s VSAT connectivity as a backbone, the scalable KeepUp@Sea solution will allow them to consolidate their IT operations on a single platform, reducing complexity, simplifying troubleshooting and ensuring that their software, licenses and anti-virus are always up to date. Through this they are looking to optimize IT management on board and ashore, improve stability and availability across their fleet of 23 owned and managed ships, and ultimately reduce overall operational expenditure. Tore Morten Olsen, President Maritime, Marlink added that the convergence of IT and connectivity can unlock cost and operational efficiencies for the shipping industry, and together with their Marlink Group sister companies they are well positioned to enable this. While connectivity provides the foundation for digitalization, solutions like KeepUp@Sea are leading the way in standardizing complex processes and in doing so, opening the door for forward thinking companies like Torvald Klaveness to transform their operations by leveraging the power of technology.